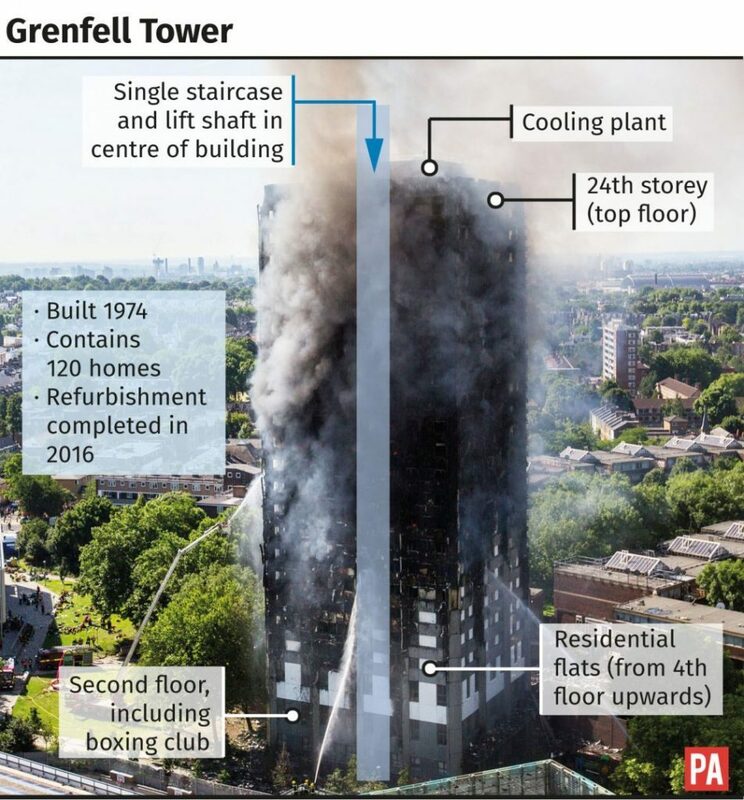 THERE are still “unknown numbers” of bodies in Grenfell Tower following the devastating inferno, London Fire Commissioner Dany Cotton has said. At least 12 people died after the huge fire destroyed the block in north Kensington, west London, where flames could still be seen burning more than a day on from the disaster. She said there are still “unknown numbers” of people in the building. Ms Cotton said the upper floors of the building are still to be searched. “Sadly we do anticipate the death toll will rise – we haven’t done our searches of the top floors yet,” she told reporters at the scene. 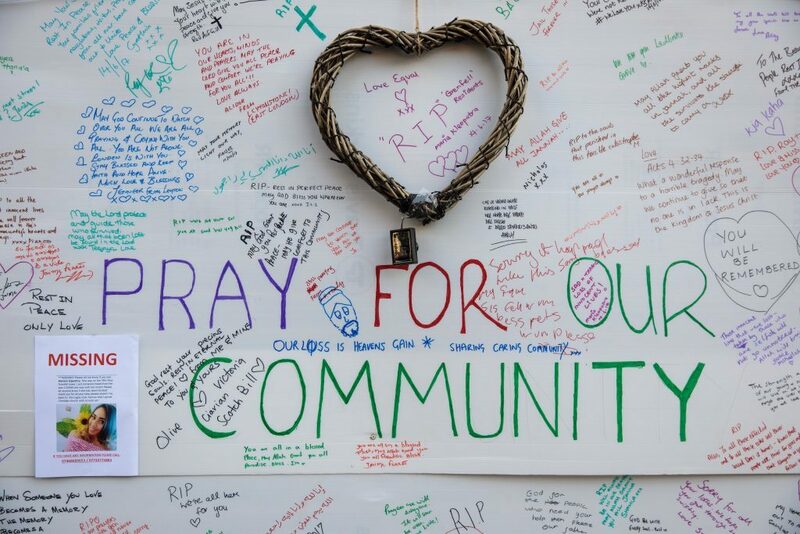 Prime Minister Theresa May is expected to visit the scene of the tragedy later on Thursday to speak with emergency services and ensure that they have the resources they need to deal with the situation. 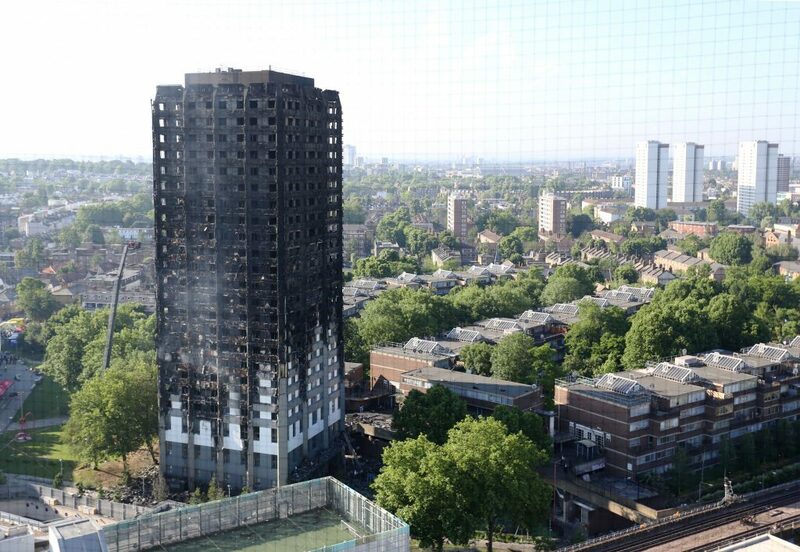 More than £1 million has been raised for people affected by the devastating fire at Grenfell Tower. Companies, individuals and charities sprang into action to help those in need of food, water, clothes and shelter after the inferno in north Kensington. Three appeals have raised a seven-figure sum in just over 24 hours since the blaze which killed a dozen people and left scores more injured. An appeal on JustGiving launched by Karolina Hanusova raised £286,437 while another set up by Hayley Yearwood has generated £431,910. The London Evening Standard launched an appeal on a dedicated website dispossessedfund.org.uk, raising £282,939 as of 6am on Thursday. The three appeals had more than 30,000 supporters between them, with supporters leaving messages including “My heart goes out to all those that had to gone through this” and “A terrible tragedy. My heart cries for all those lives lost”. David Holdsworth, chief operating officer at the Charity Commission, has urged people to give to registered causes. He said: “We are saddened to hear of the tragic events in west London. There are many registered charities on the ground doing what they do best to assist those who have been affected. Rest centres at the Westway Sports Centre in Crowthorne Road, St Clement Church, Treagold Street and the Rugby Portobello Trust in Walmer Road, cared for people overnight. Local football clubs Queens Park Rangers (QPR) and Fulham rushed to support those left homeless by the blaze. QPR said it had opened its doors and facilities to those affected by the fire, but also said it could not accept any more donations, while Fulham also helped with the collection drive. A number of individuals also reached out via Facebook, Twitter and Instagram to offer accommodation and transport help to those affected.